Ethan got a fantastic post box for Christmas from Early Learning Centre. And as we wrote our thank you cards yesterday, today was the perfect day to post them! Ethan had a great time figuring out how the letters that came with the post box fit into the slot, a great activity for his Physical Development as it is quite a small opening. 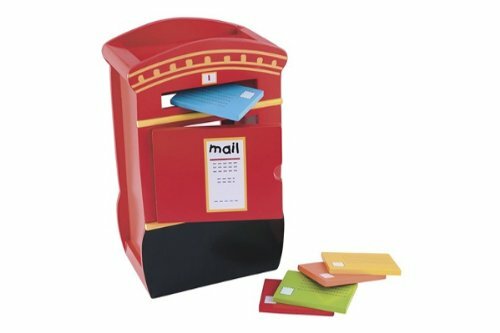 Then we took the thank you cards that we posted yesterday and I explained to him how a post box works and that we would send everyone their cards by putting them in a real post box later, helping him to learn about the post as a part of his Knowledge and Understanding of the World.